Biodiesel is an alternative fuel that is domestic, non-toxic, biodegradable, clean burning, and renewable. It can completely replace petroleum diesel, or be mixed with it in any concentration. B20 – or a mix of 20% biodiesel to 80% petroleum diesel – is a common mixture ratio in the US, as is B2 and B5. In the United States, biodiesel is made primarily from various oilseed crops such as Soybeans or Canola oil and secondarily from waste vegetable oil (WVO), which is essentially used restaurant cooking oil. Are you ready for Biodiesel? View our PDF text called Am I ready for Biodiesel.pdf, which is a collection of commonly asked questions by customers and visitors to the TBI website. Anything I should know before I put biodiesel in my tank? Yes, petroleum diesel, especially high sulfur diesel, is particularly dirty. For vehicles that have been running petroleum diesel for more than 6 months, you probably have a build up of gunk in your fuel system. Biodiesel is mildly solvent, and will actually dissolve that gunk and clean out your fuel system. This is a good thing, unless it happens all at once (which will clog your fuel filter and leave you stranded). So, when starting out with biodiesel for the first time, it’s best to start with lower blends, such as B5 or B10 for the first few tanks. Then work up to B20 or B50 for the next few tanks before trying straight B100. Some vehicles don’t run well on B100, others run just fine or perhaps better with it. Your mileage may vary. Some new evidence and reports from customers suggest that Ultra Low Sulfur Diesel (ULSD) isn’t as dirty as older low sulfur diesel, and may not have as much build up as previously thought. Still, it’s always a good idea to have an extra fuel filter in your trunk just in case, and be familiar with how to change it if needed. How does biodiesel compare to petroleum diesel? One of the major advantages of biodiesel is the fact that it can be used in existing engines and fuel injection equipment with little impact to operating performance. Biodiesel has a higher cetane number than most U.S. diesel fuel, and its lubricating properties tend to make the engine run cooler in many cases. In more than 50 million on-road miles and countless marine and off-road applications, biodiesel shows similar fuel consumption, horsepower, torque, and haulage rates as conventional diesel fuel. With the introduction of Ultra Low Sulfur Diesel, the removal of sulfur significantly reduces the lubricity of the fuel. Just adding 2% biodiesel to ULSD will increase the lubricity over 100%. Do I need to modify my diesel vehicle to use biodiesel? No diesel engine conversion is necessary to use biodiesel. Just pour it in! However, in some older diesel engines (Pre-1994), you may have rubber hoses and gaskets. Biodiesel will dissolve rubber over time, so you may need to replace all rubber components with biodiesel compatible materials such as Viton. Almost all newer engines use Viton parts instead of rubber. Alternatively, in older engines, you can try using lower concentrations of biodiesel such as B20 or B5 which will reduce or even possibly remove the chances of rubber degradation. Can I go back to regular diesel if I don’t want to use biodiesel anymore? Yes. You can switch back and forth and/or blend biodiesel with petroleum diesel in any concentration. B2, B5, and B20 are just standardized blends, but you can run B22, B63 or any other blend ratio you wish. Can I use biodiesel in my home heating system? Yes, biodiesel is an excellent replacement for home heating oil. 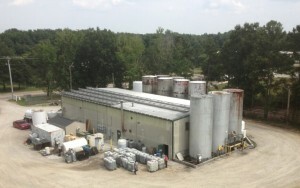 However, the same rules apply with incompatible materials and the solvent nature of biodiesel. If you have rubber hoses or gaskets in your fuel system, you may need to have them replaced with Viton equivalents in order to use B100. Lower blends like B20 may be a good start. How should I store biodiesel? In general, the standard storage and handling procedures used for petroleum diesel can be used for biodiesel. The fuel should be stored in a clean, dry, dark environment. Biodiesel has a higher flash point than diesel, and is biodegradable, so it can be used in a broader variety of tanks and storage scenarios. Acceptable storage tank materials include aluminum, steel, fluorinated polyethylene, fluorinated polypropylene and Teflon (PTFE). Copper, brass, lead, tin, and zinc should be avoided, as they can prematurely oxidize the fuel, but otherwise are okay to use if necessary. Be careful with biodiesel spills. Biodiesel will remove many paints, will dissolve rubber and rubber compounds (Buna-N is NOT biodiesel compatible), and will dissolve asphalt. How does cold weather affect biodiesel? Cold weather can cloud and even gel any diesel fuel, including biodiesel. blends. Neat (100 percent) biodiesel will gel faster than petroleum diesel in cold weather operations. Solutions for winter operability with neat biodiesel are much the same as that for low-sulfur #2 diesel (i.e., blending with #1 diesel, utilization of fuel heaters, and storage of the vehicle in or near a building). These same solutions work well with biodiesel blends, as do the use of cold flow improvement additives. TBI winterizes all biodiesel sold in cold weather months with commercial anti-gel compounds in order to reduce the chances of cold weather performance problems. We also will not sell biodiesel made from animal fats in the winter since those feedstock sources tend to make biodiesel with higher gel points. For really cold periods, we recommend always blending biodiesel with petroleum diesel to mitigate the chances of cold flow problems. Will I get better/worse mileage with Biodiesel? Pure biodiesel has about 8% less energy (BTU’s) per gallon than petroleum diesel. Since most people tend to run biodiesel in blends of B20 or B50 in their vehicles, most people will notice very little, if any difference. Some people have even reported getting better mileage, apparently due to the cleaning effect on an older, dirty engine and the increased lubricity of the fuel. What process does TBI use to make fuel? Since we are a multi-feedstock biodiesel producer, we make biodiesel using an Acid-Base-Base reaction with several mixing technologies to ensure a high yield. We then use a dry-wash method and filter all biodiesel down to 1 micron before storing. All of our fuel meets or exceeds the ASTM-6751 specification. We use a batch tracking software program developed in house to ensure component and product accountability. Does TBI sell filtered WVO for SVO (straight vegetable oil) consumers? Where can I get TBI biodiesel?